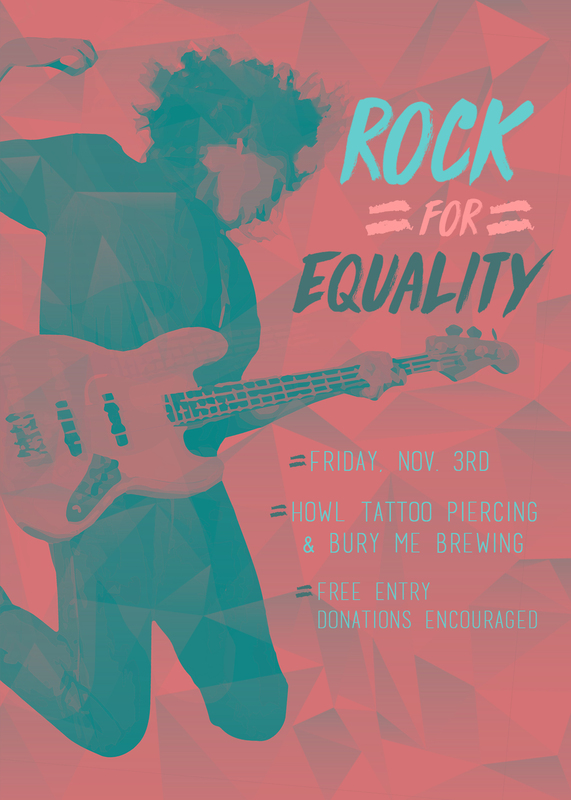 On Friday, November 3rd, Rock for Equality connected the most uniquely creative corners of Southwest Florida to bring Fort Myers a party with a purpose. When local musician and open mic host Frankie Colt approached me to team up with her for festival about unity, I saw it as a great opportunity to create something truly heartfelt and unique for our community. As Frankie tells it, after Charlottesville, she was inspired to talk to me about creating a music event focused on bringing people together. In the interview below with Curate SWFL, Frankie talks about feeling angered by the events in Charlottesville. We agreed in our first conversation that people could really use a reason to unify for a good cause. The interview with Curate SWFL also gives viewers some insight on who I am and who Frankie is. It was a very comfortable experience, and it gave us a chance to talk about more than just the idea behind Rock for Equality. That’s important to me because it lets people know that Frankie and I collaborated to create our vision of what bringing the community together really looked like. For us, we decided it meant inviting as many community organizations and musicians we could, plus offering people a chance to give back. Actually, our plan evolved in a very organic way. All it took was a few phone conversations and some messages to build the skeleton for what would become Fort Myers’ Rock for Equality. In a few interviews we did these past two weeks, Frankie discussed being nervous to talk with me about collaborating, but I am absolutely glad she did reach out to me. I found that our organization, commitment, and approach to building the event was nearly identical. I hope she felt the same, but it was like we clicked immediately about what we had in mind for Rock for Equality. As Jesi Cason of the SPEW podcast mentioned when we were interviewed on the show last month, Rock for Equality became a perfect blend of what both me and Frankie are known for doing best. It was easy for Frankie and I to marry our strengths. Frankie has tons of experience hosting the Dueling Mic Nights at Point Ybel and Beach Records, and I built the arts and activism festival, Babefest, so we thought why not bring these same concepts to our favorite haunts, Howl Tattoo & Piercing and Bury Me Brewing? With the venues on board, our next step was deciding on a benefit concert format: book bands / musicians, accept donations to go toward nonprofits, and get local organizations involved in hosting. Booking a great line up of bands at Howl was a implied, but it was Frankie’s great idea to merge that with her weekly open mic at Bury Me Brewing. After a bit of research, we decided that SURJ – Showing Up for Racial Justice should be the recipient of door donations, and that we’d invite Planned Parenthood of Central and Southwest Florida to accept donations as well. We felt these were the two organizations most motivated to elevate all Southwest Florida communities. In our radio interview on WGCU’s “Gulf Coast Live,” I expanded on why we chose SURJ. The more Frankie and I collaborated, the more creative we became about how we could bring the art and music communities together. Frankie reached out to local art vendors and food trucks, and I contacted Gulf Coast Leisure and Curate SWFL. It was clear to me that GCL would be perfect for running the Bury Me side of the house because they already run two great events with open mic elements called Art & Poetry Networking Event and Speak My Peace. Then, Malike from Curate SWFL and I had the great idea to do onsite interviews with the musicians, organizers, and vendors outside of Howl. We rounded out our plans by talking to Bury Me about making a specialty beer – which became the jasmine honeysuckle IPA, The Great Equalizer – and organizing a food drive for Harry Chapin Food Bank. These photos taken by Jesi Cason Photography really capture what was felt at Fort Myers’ Rock for Equality. It brought out so many diverse artists, musicians, vendors, nonprofits, and organizations all while raising $300 for SURJ. Rock for Equality showed Southwest Florida what can happen when people work together to create something for everyone. It was a pleasure to work alongside someone with as much of a spirit for creating great community arts events as I have and to use our energies to do something positive for the people around us.